We've covered airlines from day one at Skift, but today we take our coverage and analysis to the next level with the launch of our weekly Skift Airline Innovation Report. The newsletter, which will pop into your inbox on Wednesdays, will be written and curated by me, and it revolves around the business of airline innovation. We will look closely at the technological, financial, and design trends at airlines and airports that are driving the next-gen aviation industry. The Internet can be a ruthless place for even the most sophisticated brands, and in recent months Air France has received considerable ridicule, not only from airline industry insiders, like blogger Brett Snyder, of Cranky Flier, but also from sites as varied as Gizmodo, Mashable, and the New York Post. Air France's costs remain stubbornly high, and its Airbus A380 desperately needs an interior update. It's a concern when an airline's flagship aircraft features its most-outdated cabins, including angled beds in business class. But, at least for the Internet, the issue has been Joon, Air France's lower-cost subsidiary launching in December. It's being marketed as a hip and cool airline designed for millennials. An oft-mocked press release said, "Joon is a fashion brand, a rooftop bar, an entertainment channel, a personal assistant… and Joon does flying too!" It probably shouldn't surprise anyone that Gizmodo, the sassy design, technology, and science site formerly owned by Gawker, mocked Joon with a headline that read, "Air France's Ridiculous 'Airline for Millennials' Promises VR and a 'Rooftop Bar.'" I met last week in New York with Air France-KLM CEO Jean-Marc Janaillac to discuss many issues facing his company, including culture clashes between the Dutch and French sides of his business, and I asked him about Joon. I wondered if the marketing folks had taken their charge — designing an airline that might intrigue younger passengers — too far. As you might expect, Janaillac was diplomatic. Yes, he told me, Air France seeks a fresher approach, and it does want to attract new and younger customers. But he said this new lower-cost airline is less a play for millennials and more of a commercial response to another problem — fierce competition from Gulf carriers and long-haul discounters like Norwegian Air. Joon is an airline for everyone, young and old, Janaillac told us. At Skift, we understand why Air France needed to start a lower-cost subsidiary, and we wish it success. We even get why Air France would want a brand that welcomes travelers in their 20s and 30s. But we wonder if it could have been less overt with its marketing strategy because millennials usually don't like it when a brand panders to them. Is there a tougher job in the airline industry than making Air France more nimble? It's an airline that prides itself on its systems and procedures. But to compete forcefully in the 21st century, an airline must take chances. Air France needs to be more, in that regard, like its Dutch sibling, KLM. IAG's testing of the low-cost, long-haul market with a virtual airline seems to have paid off. Its success shows that the model is here to stay. We'll be keeping a close eye on how this affects the legacy carriers, including those in IAG's own brand stable. You know the old joke. How do you make $1 million in the airline industry? Start with $1 billion. But despite the challenges, many entrepreneurs — a lot of them with no industry experience — try to start airlines. For a recent story, Travel + Leisure picked up on a report from Airline Network News and Analysis that said nearly 80 new airlines have started so far this year. How many will fail in five years? A lot of them. You can argue it’s never been a better time to fly. Fares are cheap, and amenities like Wi-Fi and free snacks keep improving. Even better, airlines are updating their mobile apps, making it easier for passengers to rebook from delayed or canceled flights. But some people — mostly infrequently flyers — still view flying as a pain. We’re not surprised American Airlines is not interested in blinged-out first and business class cabins. But we’re still slightly puzzled at the U.S. carriers’ anger toward the Gulf airlines. Yes, Emirates, Etihad and Qatar receive government assistance, but so do a lot of airlines. JOB SECURITY AT UNITED AIRLINES? Can United Airlines' Brain Trust Survive Another Tough Journey? Chicago Tribune columnist Robert Reed asks whether United CEO Oscar Munoz and President Scott Kirby can keep their jobs long term. Reed notes investment analysts did not like the defensive posture executives took during United's third quarter earnings call. But Reed fails to take into account how much sophisticated investors like Kirby, who helped turn around US Airways and American Airlines. We're bet Kirby will stay at United as long as he wants. Munoz is a different story. With Kirby waiting behind him, Munoz may not last forever. Conor Shine of the Dallas Morning News has a neat story introducing readers to the 11 meteorologists who track nasty weather for Southwest. The big internal team is rare in an industry that increasingly outsources for weather data. "We try to be as proactive with the weather as possible," one member of the team told Shine. "It’s always going to cause chaos, but it’s better to control that chaos by being out ahead of it." 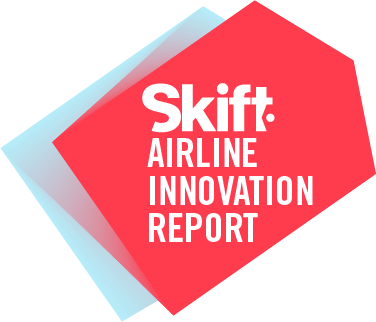 Skift airline business reporter Brian Sumers [bss@skift.com] curates the Skift Airline Innovation Report. Skift emails the newsletter every Wednesday. Copyright © 2017 Skift, All rights reserved.